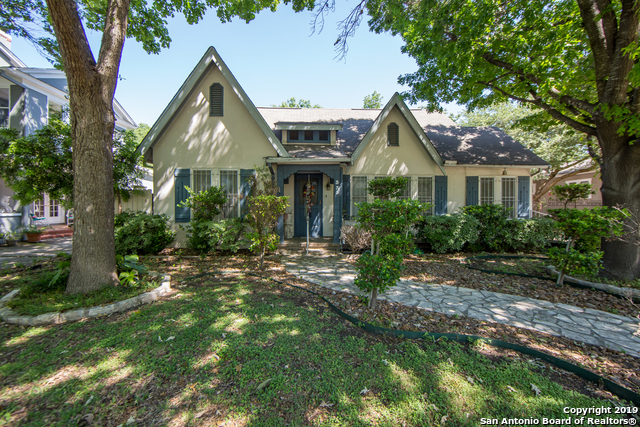 All MONTE VISTA homes currently listed for sale in San Antonio as of 04/22/2019 are shown below. You can change the search criteria at any time by pressing the 'Change Search' button below. 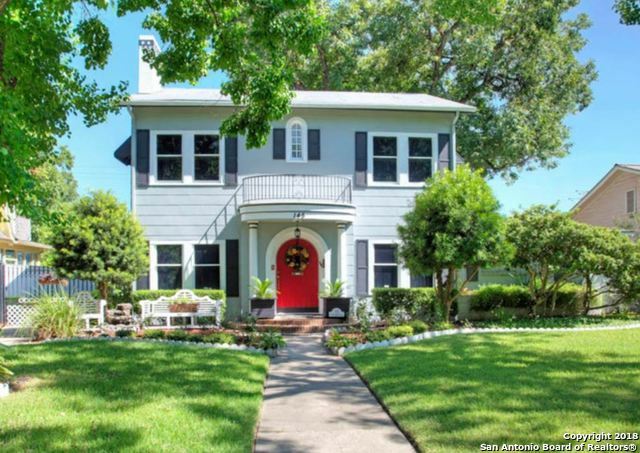 "Great 3-story home in Historic Monte Vista w/amazing, unobstructed downtown views! Top floor loft with separate entry. Multiple outdoor decks Would make a cool Airbnb or lease property. Needs TLC but has great potential, nice garage could be converted into living space. 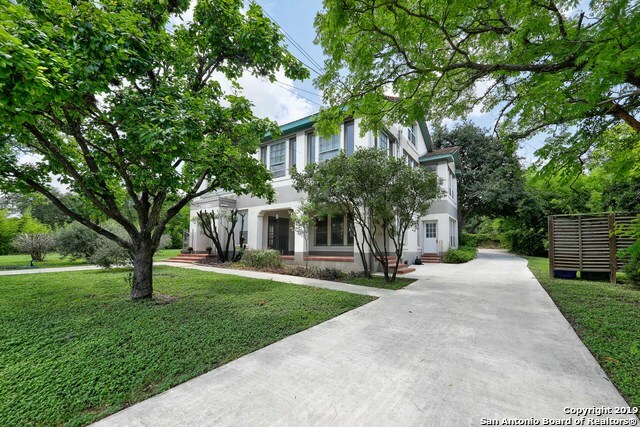 Great Income Producing Rental for Trinity students. Lot next door is also for sale, it would make a great family home as well. Interior pictures to follow. 24 hr notice for showings as courtesy to current Sorrority girls. 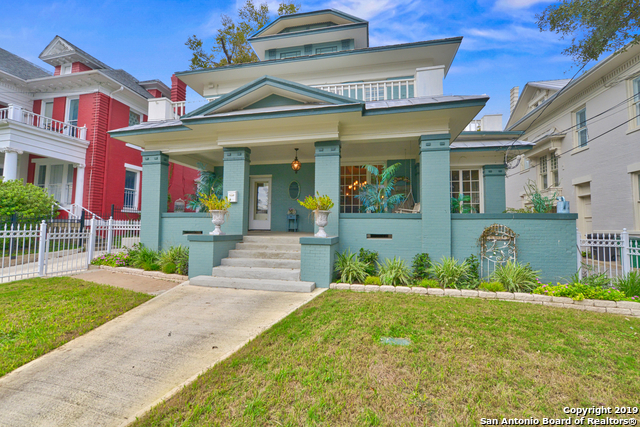 Lease "
"Historic 1918 Monte Vista home overlooking beautiful backyard with generous sized lot. Discover the charming elements within the home and grounds. Walkway leads through the yard and stone archway. Interior features tell a story over the years from historic architectural gems to updates including kitchen. Sunlit rooms act as ample light throughout the house. Separate living quarters with full bathroom. NEW ROOF added. Check out 3D Virtual Tour." "Incredible value for this lg Family home under market price per sq.ft. Hw. floors, high ceilings, lg. windows for great light. Formal living rm with Fp. separate + office. Renovated island kitchen open to the dining room Very flexible floor plan/option to have the master bedroom up or down. 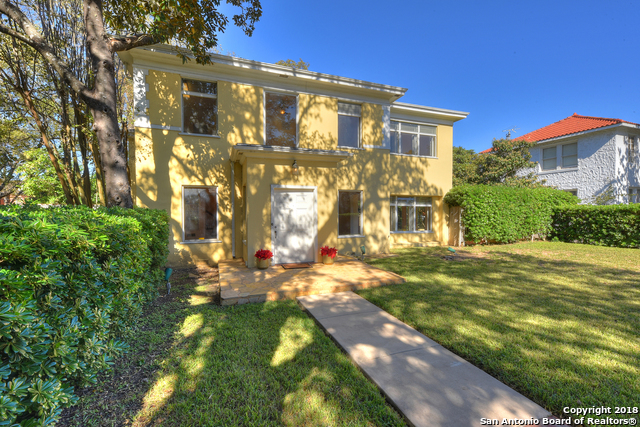 Downstairs master has walk-in closet, updated master bath, soaking tub & large separate shower. Upstairs family room with FP + play room or 2nd office. 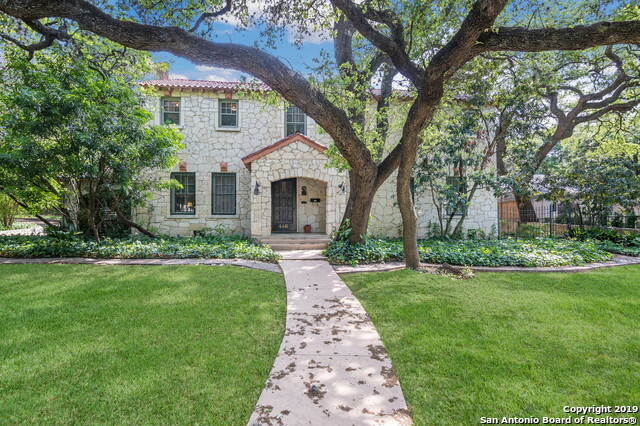 2 additional bedrooms & 2nd master with sitting room "
"Beautiful home in historic Monte Vista. 4 Large Bedrooms with ample closets & 2 full baths. Master is downstairs with his & hers closets. Kitchen has gas stove, 2 ovens, dishwasher, & wine frig. 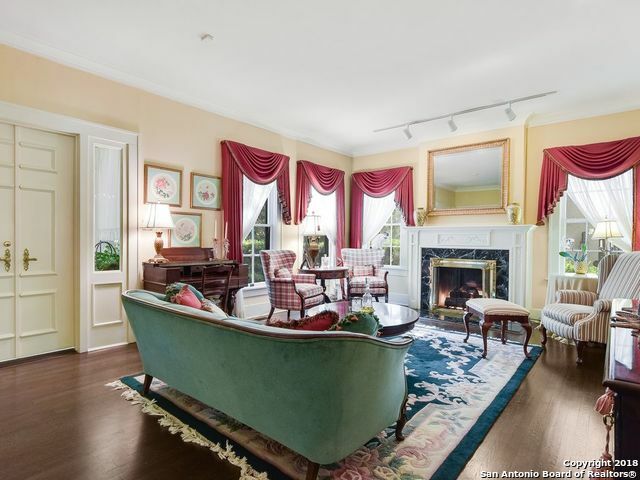 Large formal living area, fireplace, & wonderful dining room for family events. Family room and breakfast area open to covered deck. 2 car over-sized garage & mother-in-law quarters with shower can be office. Remote control gate. Please do not push on gate. New fence being installed. Measurements are app"
"NO HOA! SOME WEBSITES INCORRECT! UrbanLiving Inside410. 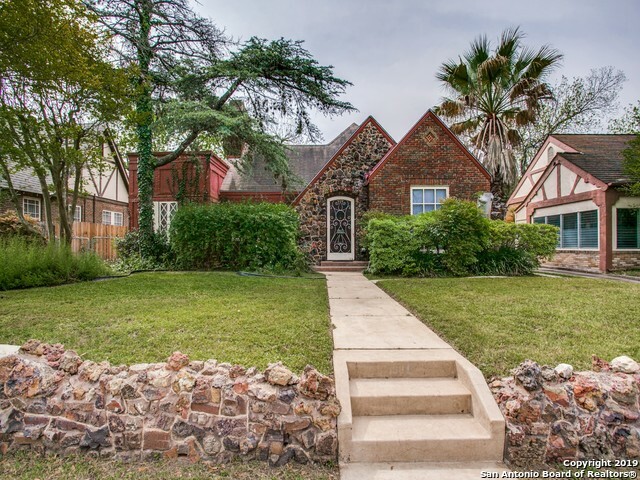 Timber frame English Tudor home on a corner lot in Monte Vista with recent updates to include newer cabinetry in kitchen & baths, granite & quartz counters, tiled floors, interior paint & fixtures throughout. 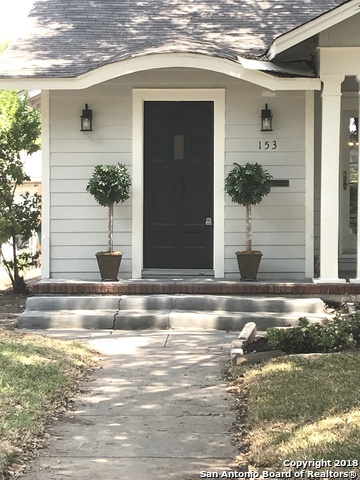 Impressive fireplace, timber beamed ceilings, wide-plank wood flooring, deep window sills, & slate entry add to the vintage charm of this home. Newer cedar shingle roof, gutters & exterior paint. Unfinished quarters above 2-car garage"
"Lovely historic home w/updates galore. Owner is greeted w/ beautiful hardwood floors & soaring ceilings w/beams! Impressive island kitchen offers BOSCH double oven, granite cntr tops & gas cooking. Breakfast room features great view of spacious, private backyard. Full bedroom & bath on 1st level. Owners retreat has multiple closets + flex-room that could be a study, nursery or workout room. 2 very impressive oaks adorn the front. Walk-in basement offers approx 1200 sq ft of storage space. 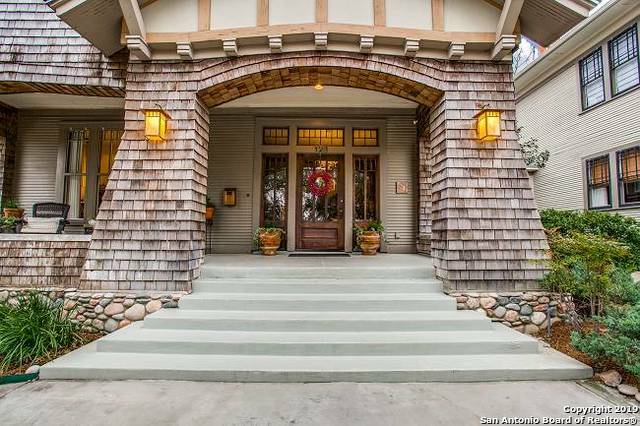 Near P"
"Historic Monte Vista 1920's classic home just awaiting your creative remodeling personality to show its talent! Good bones and lots of character in the design and layout. Spacious sized rooms, 2 car detached garage with small attached workroom with half bath. 2 car carport in front of garage. Lushly landscaped lot, long covered front porch, small covered patio out back. 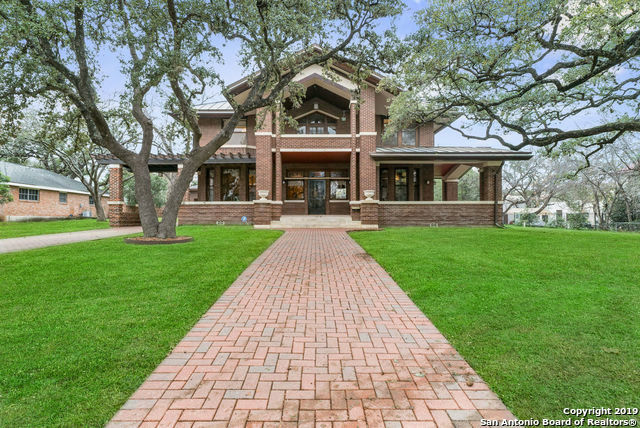 Bexar appraisal district appears to be missing the added square footage of utility room so actual footage may be closer to 2"
"This 1927 build is in Historic Monte Vista. Beautiful wood floors in bedrooms & living areas, high ceilings, large windows & built-ins are just a few of the features of this home. There are detached living quarters in back of approximately 324 square feet. 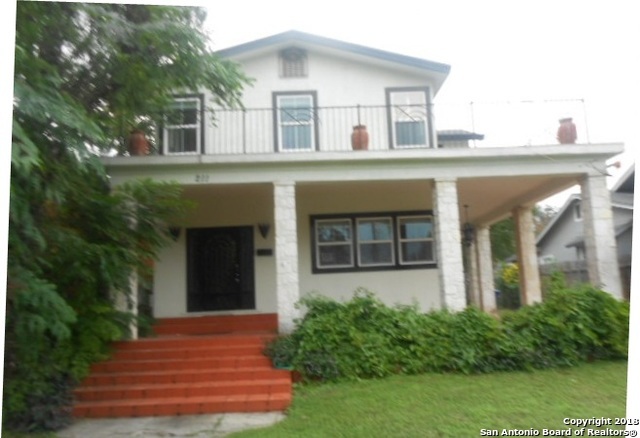 Centrally located near UIW, SAC, Trinity as well as the Pearl & downtown. You will find old world Monte Vista charm here!" 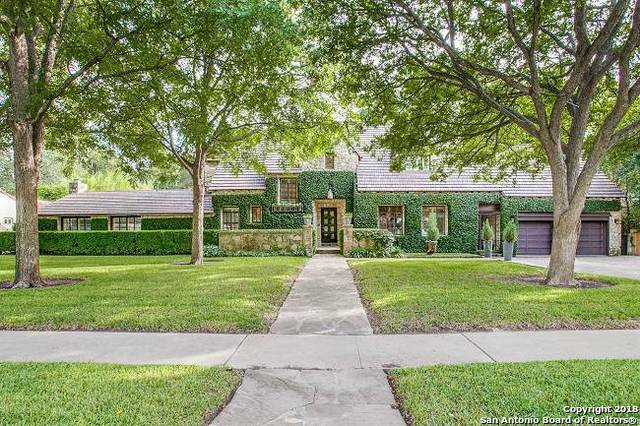 "Gorgeous trees create a quaint setting for this home. Step back into the 1930's but enjoy today's conveniences. Wood floors, upgraded light and plumbing fixtures. Updated kitchen with granite, ss appliances and gas range. Enjoy a private and updated master bedroom and bath. 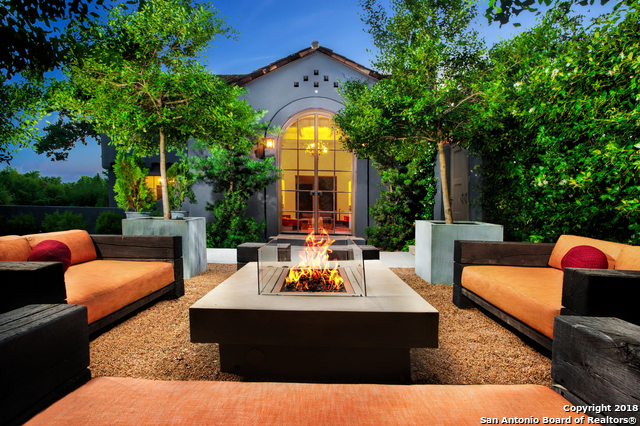 The backyard offers a covered patio for entertaining and shade. An outdoor storage unit has plumbing and electrical for future finish out." 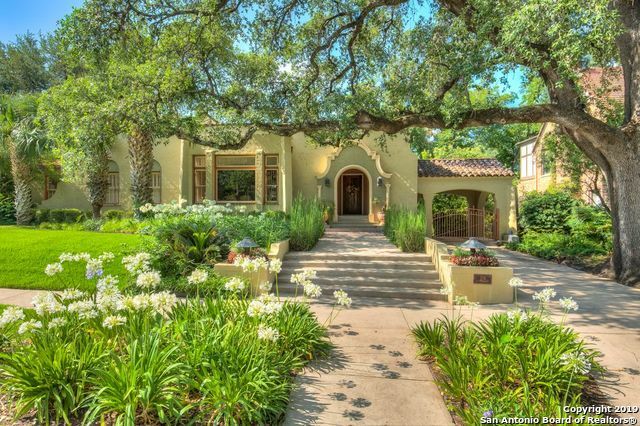 "Located in Monte Vista Historic District. This home has undergone previous updates. Open floor plan. Plenty of parking. Master with sitting area. High ceilings on first floor. A gem waiting for you." "**Main house 2 bed/2 bath, 1455sf. Detached quarters is a 1/1, 336sf** 1919 Monte Vista bungalow! Thoughtfully restored, offering new plumbing, electrical, HVAC/ductwork & tankless water heater. 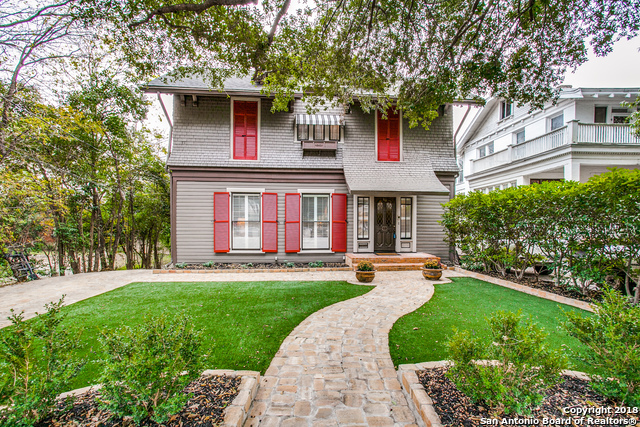 Refurbished, original hardwoods flow throughout an impeccable floorplan. Spacious, open kitchen w/ quartz counters, breakfast bar & stainless appliances. Large master w/ en suite bath. Don't miss the fully renovated detached quarters offering full bath & kitchen. Old world Monte Vista charm at its best!"